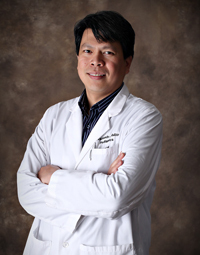 Armando Quizon is Board Certified in Pediatrics and a Fellow of the American Academy of Pediatrics. Dr. Quizon was born and raised in the Philippines. He received his Bachelor of Science degree in Biology at the University of Santo Tomas and his Medical Degree at the University of Santo Tomas. He completed his Pediatric residency at the Brookdale University Hospital and Medical Center in Brooklyn, New York. He has been in practice at Gadsden Pediatric Clinic since 2004. He and his wife, Aimee, have a son and a daughter. April 2004 – Present, Gadsden Pediatric Clinic, P.A. 1998 – 2004 - Quality of Life Health Services, Inc.